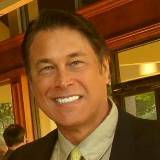 Hormonal replacement therapy is a highly complex and constantly evolving subject. You deserve a thorough medical evaluation and ongoing maintenance by a highly respected certified physician. We have decades of experience and possess a comprehensive command of current evidence-based reproductive endocrinology, which is simply absent from many healthcare practitioners today. This fact is echoed from many of our new patients who desire second opinions because they have been told their lab work is “normal” but they still feel miserable. A major problem is that many practitioners, even specialists, are clueless. They have never been taught evidence-based hormonal medicine in postgraduate residency or fellowship training programs. 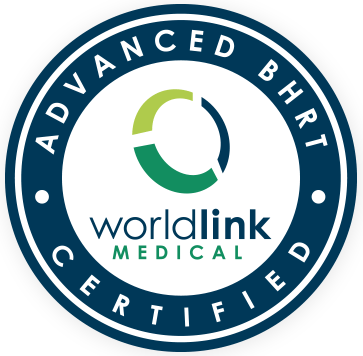 We have extensive traditional medical training augmented by additional in-depth certifications (See above). We are a completely independent medical practice and do NOT accept any insurances, Medicare, or Tricare. As such, we are not told what to do nor are we restricted by insurance plans, pharmacy benefit managers, or the pharmaceutical industry. However, all your lab work and imaging studies are indeed covered by these plans, just as with any other provider. If after medical and laboratory evaluation we decide on the pellet route of administration, we employ the estradiol and testosterone pellet in females in many varying individualized dosages. In men, we employ testosterone pellets only. Pellets are about the size of a grain of rice and placed painlessly below your buttock skin. They are absorbed slowly over 3-5 months by cardiac output, providing relief of your female menopausal and male hypogonadal conditions. We have performed over 4,500 pellet procedures combined in women and men. Many practitioners are surprised to learn that at least 20 BIOIDENTICAL medications have long been FDA-approved in treatment of certain conditions, and more are on their way. However, there are NO FDA-approved pellets for females yet. We prescribe high quality estradiol pellets manufactured in FDA-regulated 503-B pharmacies, meaning potency and dosage are guaranteed to vary only less than 3% from pellet to pellet, far better than and exceeding the 10% variance allowed by the FDA for trade prescription medications. Many females prefer pellets because of better absorption, convenience, and maintenance of constant hormonal levels. Many males prefer pellets to injections for the same reasons as well as elimination of muscular injections which can create huge hormonal fluctuations with resulting mood swings. Our pellet dosages are customized exactly to you, calculated by computer algorithms based on your own pre-insertion blood testing, body weight, activity level, thyroid function testing and other historical information, such as smoking. Endocrine blood work is performed 4-6 weeks after insertion to insure therapeutic hormonal levels, and adjustments can be made until you feel your best. We do not charge for booster pellets. You cannot rely on inaccurate laboratory ranges for some tests because those ranges may be based on older and sicker populations and are not optimized. Professional organizations have been correctly skeptical and concerned about safety because of poor quality compounded pellets used by some providers, lack of endocrine blood testing for monitoring, and prescribing by non-expert providers. We share their concern! However, we have none of these drawbacks. We strongly believe in patient education and in making you extremely knowledgeable about your hormonal therapy as far as benefits, risks, and side effects. 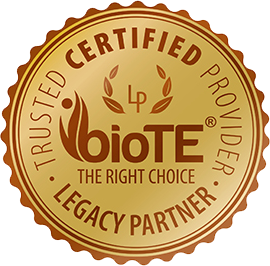 As a patient, you will receive a lengthy personal consultation and a book on evidence-based bioidentical therapy. If you receive pellet therapy, you will become part of the world’s largest database of patients treated exactly the same way as far as pellet quality, dosing, and methodology by over 3,200 healthcare providers across the U.S. Any complications are carefully logged for research purposes. We can provide you with second opinions. If you become one of our female patients, we can provide you with routine gynecologic Well Woman Exams and health surveillance as you desire. We LISTEN, we CARE, and believe in COURTESY, KINDNESS, and DIGNITY for each and every patient! We serve as a consultant to your primary care provider or Ob-Gyn, working with them to help you achieve maximum health. Find out why over 1/3 of our patients are themselves either physicians, nurses, physician family members, or other healthcare professionals. 1- To schedule an appointment, please fill out the form below and we will contact you. 2- Please review the information below as it answers many questions our new patients ask.